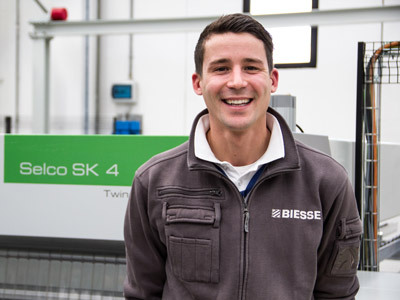 High Moon’s relationship with Biesse began when the company aimed to increase productivity while maintaining quality standards set in his target to meet demand. He found the resolutions provided by Biesse to be just what was required for the company. Established in 2007, High Moon has a total space of 8000 sq. ft showroom in Dubai which houses over 50 models of executive desks, 15 types of reception desks, 100 kinds of chair designs and more. Around 2500 sqm of this space is a dedicated factory that comprises of over 6 Biesse Machines. Two Active 400, a Jade 340 edgebanding unit, a Brema Eko 2.1 boring unit, a Rover J CNC and a Selco SK 4 sizing machine. Mr. Kalamegam Natarajan, CEO and Founder of High Moon, began his journey in Dubai in 1997, working in many different roles across variety of industries, starting in interior. 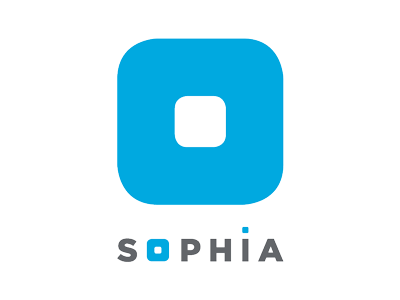 In 2007, after gaining exposure and an interest in furniture and interior design, he noticed a gap in the SME market for quality interior designers. He started the company with basic level interior with a passion of creating high end designs and searching for different ways to be on top of the trade. Today, High Moon is one of the top, fast growing interior design company specialized in office furniture, flooring and more, with their material all sourced from Germany and includes original designs created from Mr. Kalam’s vision. 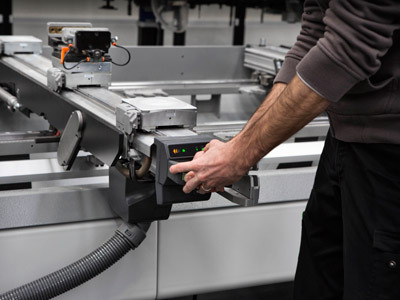 With its current success and increasing demand, the company is already in the process of obtaining extra factory space and working with Biesse again to acquire more machines in the future. The Biesse machines have been amazing and have really helped boost production to meet our ever-growing sales demands.